“Parks and Recreation” had a pretty good night on a Tuesday that was slowed up by President Obama’s State of the Union Address. The Amy Poehler-comedy’s network, NBC, finished in a three-way tie atop the advertiser-sought 18-49 demographic, matching up with Fox and Univision. CBS finished first in total viewers. NBC, Fox and Univision tied for first in ratings, each with a 1.3 rating/4 share. NBC was second in viewers with 4.6 million; Fox was third with 3.994 million; Univision was sixth with 2.9 million, according to preliminary numbers. 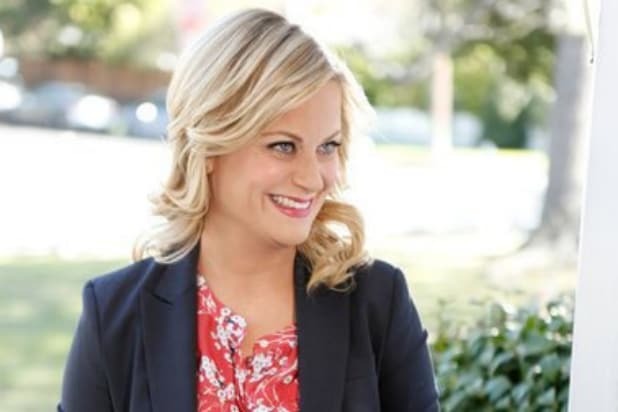 For NBC, “Parks and Recreation” at 8 p.m. received a 1.4/4 and 3.9 million viewers. The State of the Union followed at 9, getting a 1.5/4 and 5.3 million viewers. An analysis followed at 9:30 with a 1.4/4 and 5.2 million viewers. More analysis followed at 10, to the tune of a 0.8/3 and 3.9 million viewers. For Fox, “MasterChef Junior” at 8 had a night-high 1.7/5 and had 5.4 million viewers. The State of the Union followed at 9, which had a 1.0/3 and 3 million viewers. CBS was fourth in ratings with a 1.2/4 and first in viewers with 8.1 million. Following an “NCIS” rerun that pulled in a primetime-best 11.9 million viewers, President Obama’s speech at 9 got a 1.3/4 and 7.3 million viewers. The Republican response at 10 had a 1.2/4 and 6.4 million viewers. A rerun followed. The CW was fifth in ratings with a 1.1/3 and in total viewers with 3.1 million. “The Flash” at 8 received a 1.3/4 and 3.7 million. “Supernatural” at 9 had a 1.0/3 and 2.5 million viewers. ABC was sixth in ratings with a 0.9/3 and fourth in total viewers with 3.991 million. Following a rerun, the State of Union at 9 got a 1.1/3 and 4.7 million viewers. A repeat followed. Telemundo was seventh in ratings with a 0.7/2 and in total viewers with 1.5 million.